Norwegian Cruise Line is launching its popular DASH sale, offering exceptional savings on all sailings of three days or longer, fleet-wide. Guests who book a cruise vacation on Norwegian Getaway, Norwegian Breakaway or Pride of America from Saturday, May 17 through Friday, May 23, 2014, can receive up to $500 per stateroom to spend on board depending on the category of stateroom booked. 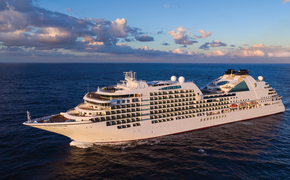 Guests booking any of Norwegian’s other ships can receive up to $250 to spend on board (based on cruise length and stateroom category) and reduced deposits. Air credits up to $1000, Military, AARP and Latitudes Rewards discounts also apply to select sailings. Norwegian Getaway, Miami’s Ultimate Ship, sails seven-day cruises to the Eastern Caribbean from her year-round homeport, Miami. The line’s newest ship visits tropical ports of call including Philipsburg, St. Maarten; St. Thomas, U.S. Virgin Islands; and Nassau, Bahamas. On board guests will be dazzled by the ship’s Miami flair, exceptional dining and entertainment as well as the excitement of 678 Ocean Place and The Waterfront, a variety of interconnected indoor and outdoor venues on three dynamic decks that create a multiplex of dining, activities and more that enhance guests’ connection with the ocean. Fares start at 599. 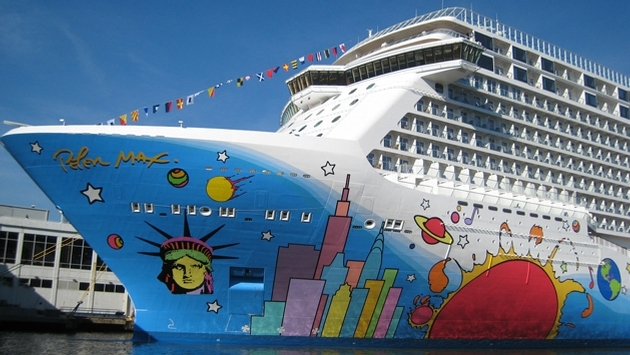 Guests cruising from New York can set sail from the Big Apple on board Norwegian Breakaway, Norwegian Getaway’s sister-ship and the ship that brings the best of NYC to Sea. Norwegian Breakaway sails seven-day cruises to Bermuda, now through Sept. 28, 2014, offering guests three full days to explore. Fares start at $579. Vacationers can dash to cruise savings in Hawai`i when they book a seven-day cruise on board Pride of America, with fares from $1,049. Sailing year-round from Honolulu, this stunning cruise offers nearly 100 hours of port time and visits Hawai’i’s four main islands, including an overnight in Kahului, Maui; an overnight in Nãwiliwili, Kaua`i; stops in Hilo, Hawai`i and Kona, Hawai`i; as well as an afternoon cruise by the spectacular Nãpali Coast.